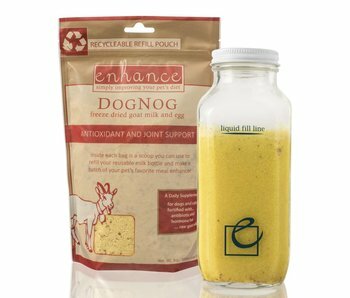 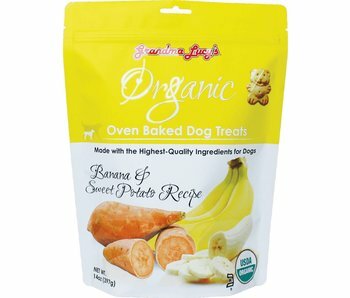 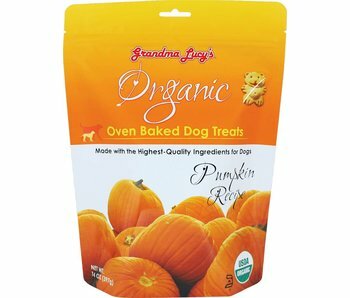 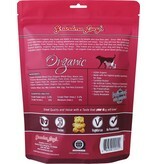 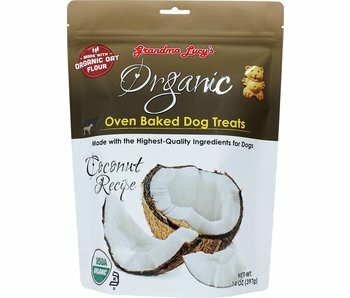 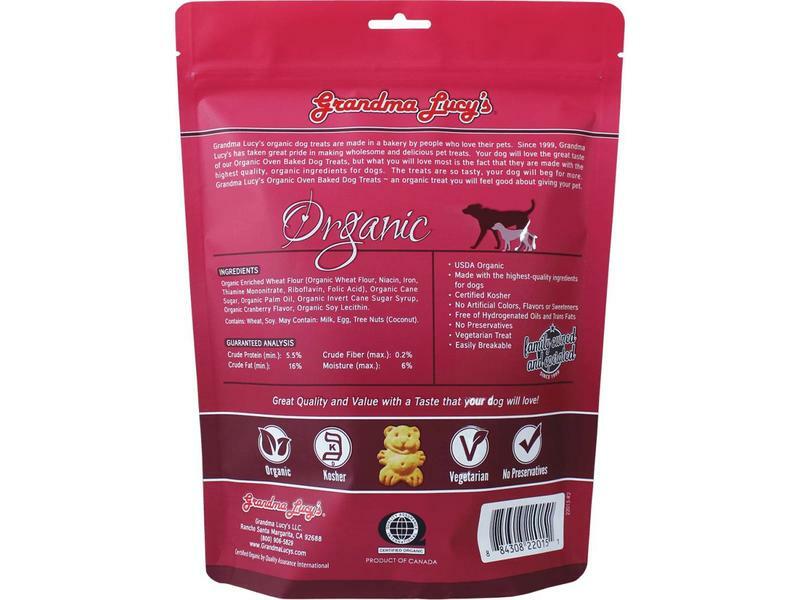 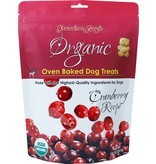 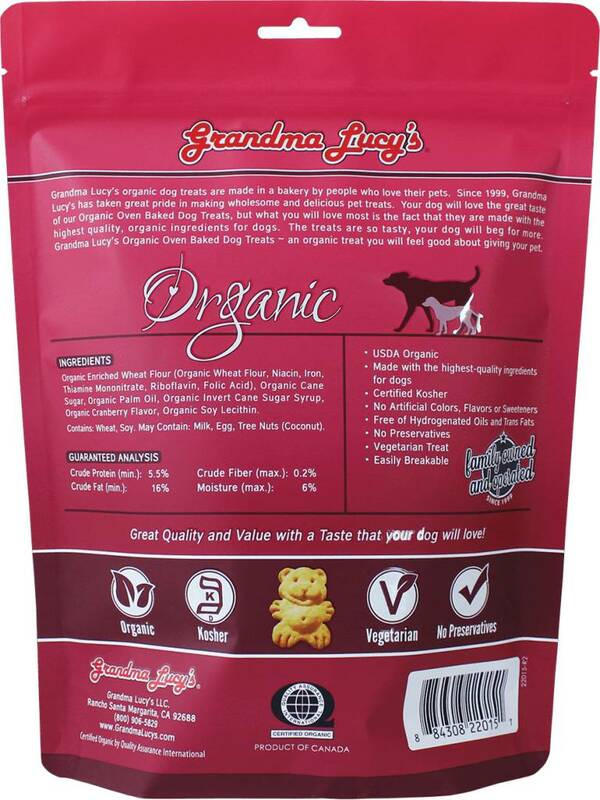 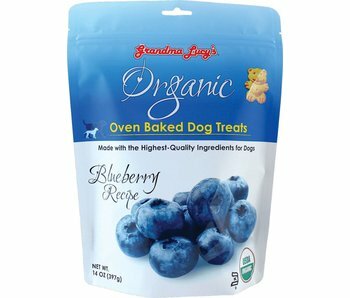 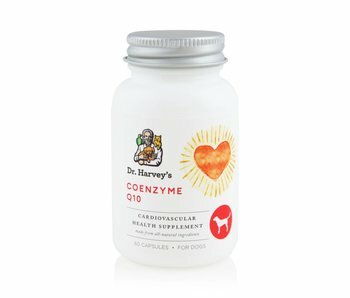 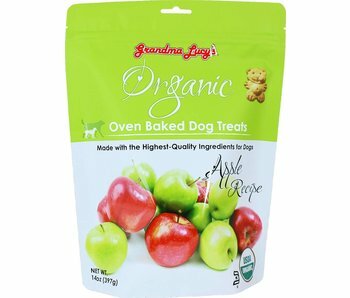 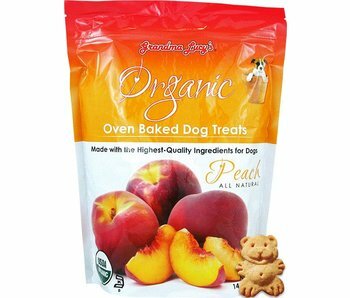 Your dog will love the great taste of these Organic Oven-Baked Dog Treats, but what you will love most is the fact that they are made with organic, human-quality ingredients. 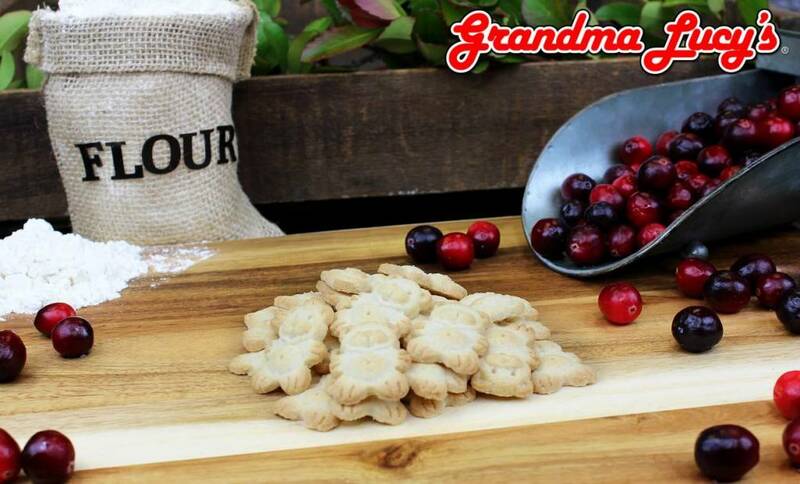 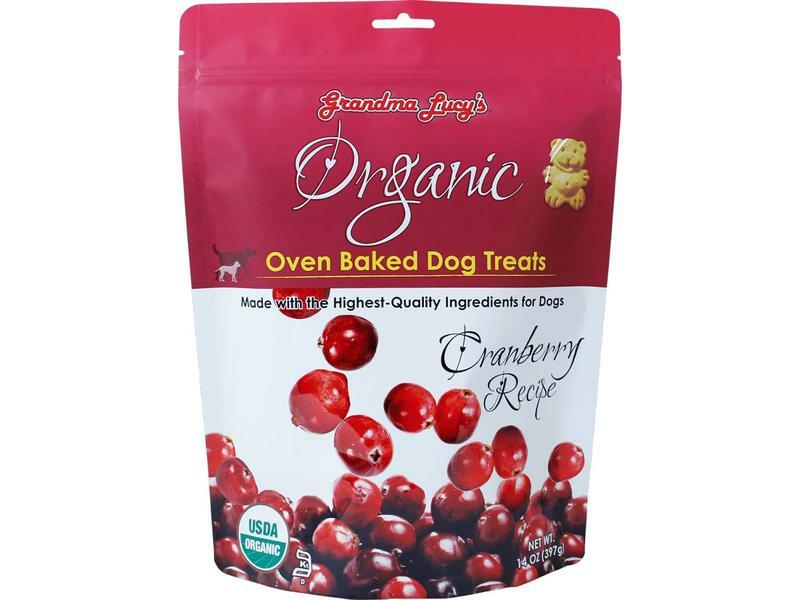 As natural sources of antioxidants like Vitamin C and E, cranberries support your pet’s immune system and help prevent urinary tract infections. 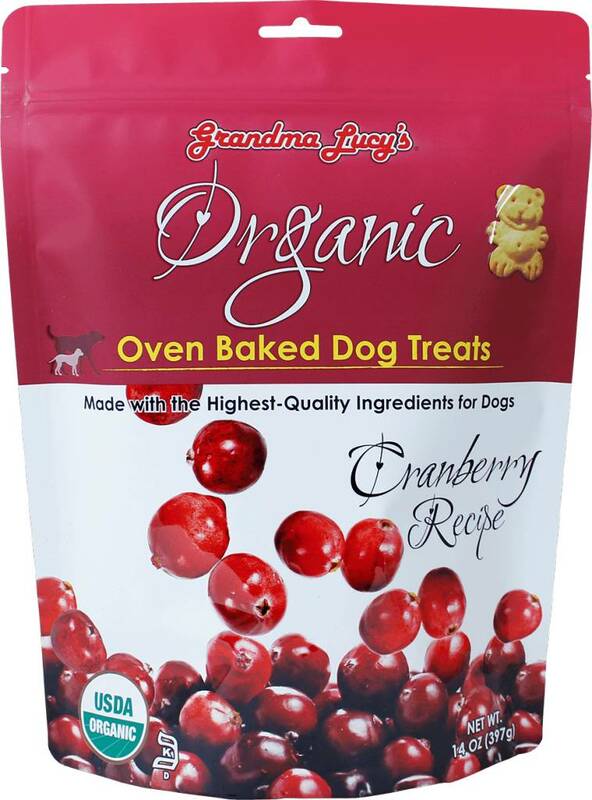 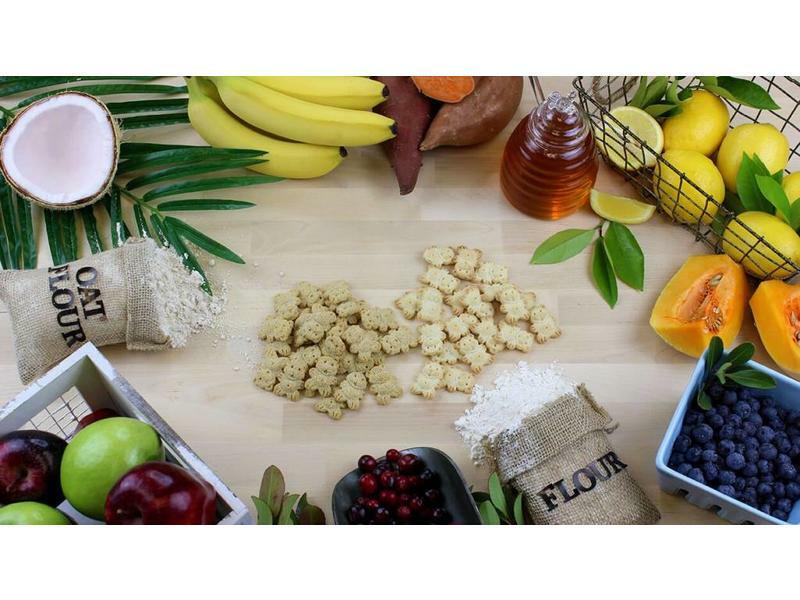 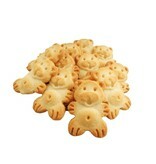 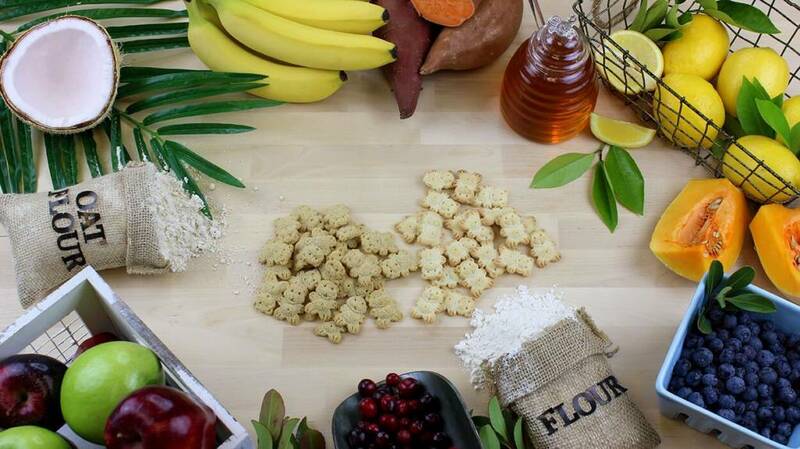 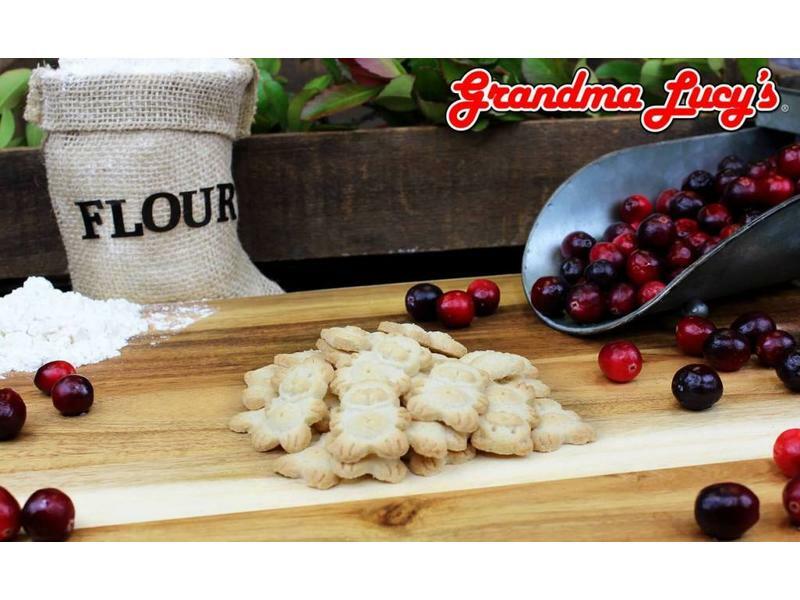 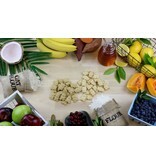 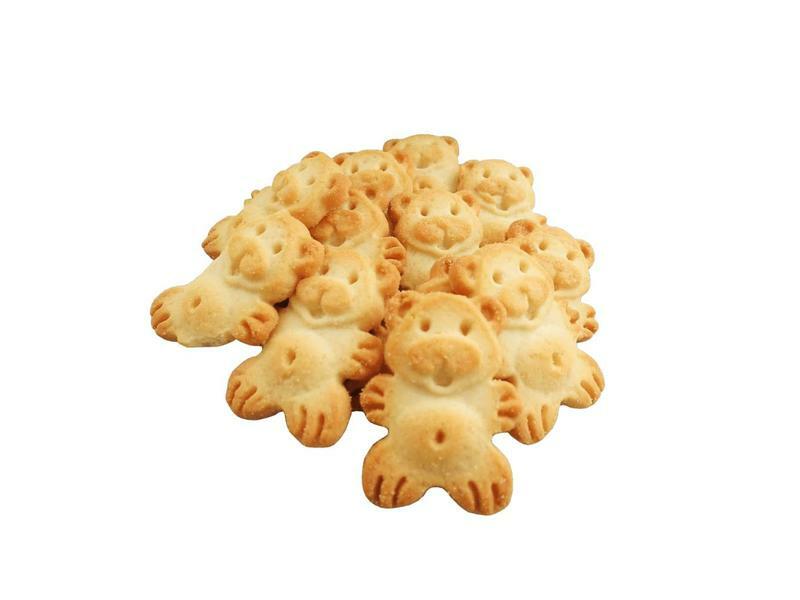 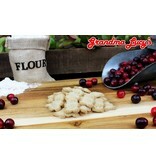 Ingredients: Organic Enriched Wheat Flour (Niacin, Iron, Thiamine Mononitrate, Riboflavin, Folic Acid), Organic Cane Sugar, Organic Palm Oil, Organic Cane Sugar Syrup, Organic Cranberry Flavor, Organic Soy Lecithin.